As many sports fans finish watching the Final Four tomorrow there will be a new direction for their attention to go in the coming weeks (assuming they are NFL fans). The NFL Draft is this month and while there aren’t any real high profile ‘must draft’ prospects out there there is plenty of hype to be started for some teams and especially for Madden 25. I wonder if they will still keep brittle QBs damn-near invincible…? Now that the Madden 13 cycle is almost over (most Madden fans will put this game on the shelf until July, when NFL Camps grab their attention and they can’t help themselves) we are looking to the next iteration of the same game we buy in droves every August. With NCAA’s announcement there are some things we can all but assume for Madden 25’s improvements. Better tackle physics are something that happen incrementally every year for Madden. However, now that the NFL is making rules against certain player centered moves (tucking your head when running the ball – IE, The Truck Stick) we will most likely see a trend for Madden to be even more toned down as time goes forward. Another hope for Madden is better O-Line/D-Line interactions. This has as much to do with physics as it does with how the game is programmed. It has been shown on numerous occasions that Madden’s blocking system is broken at best. There have been multiple occasions in the past where I have had a punter or kicker mysteriously jump into the O-Line and easily handle a 350 lb defensive lineman. While this goes beyond the infinity engine, it is something that should be made apparent regardless. Pass Interference has been non-existent in Madden for almost the entire generation of 360/PS3 titles. There are high hopes that Madden 25 and Infinity 2.0 will actually have this often-called penalty fully functional this year (on both sides of the ball). As far as gaming goes in 2013, it has been a surprisingly dull start with little to look forward to in terms of games and even the new consoles. It seems that we have hit a bit of a lull when it comes to this generation’s games. Everything is a sequel, prequel or some other sort of half-assed effort with a big name company stamp on it (I am looking at you SimCity). I always start out my year by saying I won’t buy Madden because it is the same game every single year. Now that we are firmly set to start draft season, I am sure my tune will change for a few months before we are once again asking for patches the day after the game comes out. As more Madden info comes out we will have it here for you – with completely honest opinions and reactions. 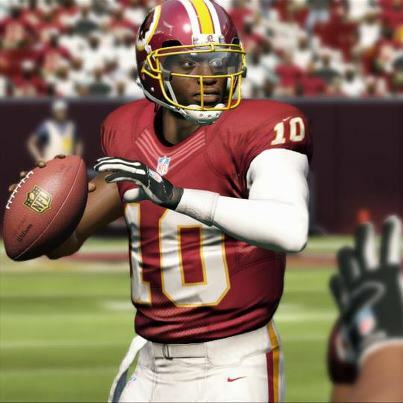 If you are curious about the roster update for Madden 13 – it is in progress and will be out in a couple weeks. The draft is often a busy time for roster updating, so it will be a good time to get that work started.